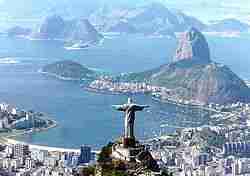 coveringcoveredcoversI don't know nearly half of South America Brazil is the largest of the Latin American countries. Brazil is the fifth most populous country, in 2007 the Brazil'sthe BrazilBrazil'sI don't know population reached more than 180 million inhabitants. Brasilia, the capital of Brazil, is the seat of Government, househousinghousedI don't know the Executive,Legislative and Judiciary Powers. Brazil is the only Portuguese-speakingPortuguese-speakPortuguese-spokenI don't know country in South America. There is notnononeI don't know doubt that football is the favourite sport in Brazil. 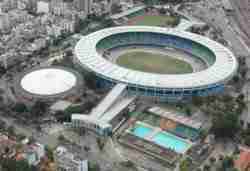 Maracana (Rio de Janeiro) is the largest stadium in the world. 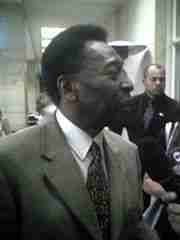 Pelé still recognizedhas still to recognizedis still recognizedI don't know as the greatest. to participate in this festival. althoughbutin spiteI don't know suffering the effects of human intervention, the Amazon Forest is one of the largest wildlife reservation on earth.